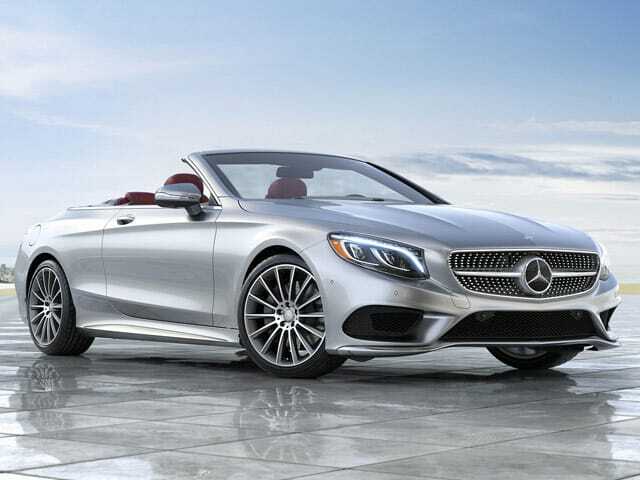 The Mercedes S 500 Cabrio is beyond magnificent. It is not just a soft-top, 4 door S class, it is much grander than that. Its convertible forebears are among the most coveted, with unmatched style, craftsmanship, innovation and luxury it is a modern classic reaching for the sky most literally. The soft top includes rich fabrics in four colors that are crafted to give a coupe like sleekness, comfort and view, when it’s raised. The car turns into convertible mode in under 20 seconds. The top can also be lowered in motion at a speed of up to 28 mph. The interior of the Cabrio looks like a gallery of modern luxury, for four. The seats are a three-dimensional sculpture made of hand-polished wood, precisely stitched leather and satin aluminum. It is a haven for passengers that are obsessed with comfort. 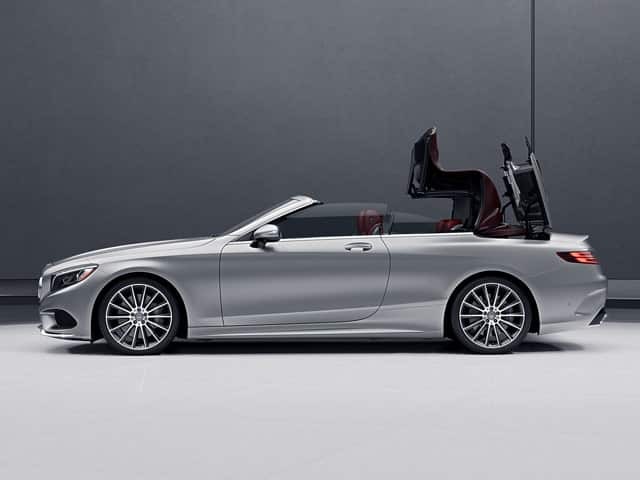 And in its convertible mode, it is equally as appealing to the passing admirers. Everything about the Cabrio is made of brilliance, from its all-LED exterior and its multi-color cabin lights to its diamond black grille, chrome-tipped. The headlamps are the most captivating feature, made from genuine Swarovski crystals they are sure to make a grand entrance. The Cabrio is equipped with the bi-turbo v8 engine that orchestrates its power within the precision of a millisecond with its direct injection and multi-spark ignition. The flaps in the exhaust system along with the driver’s enthusiasm create a unique crescendos. All the details of the Cabrio, from its shape, to its mirrors, air intakes, headlamps, underbody paneling, every little detail makes it more serene, secure and stable. The 500 S Cabrio has an advanced climate control system that adapts automatically to the top position so you can easily enjoy a sunshine or a windy breeze. The AIRCAP system also helps lower down turbulence at high speed levels.